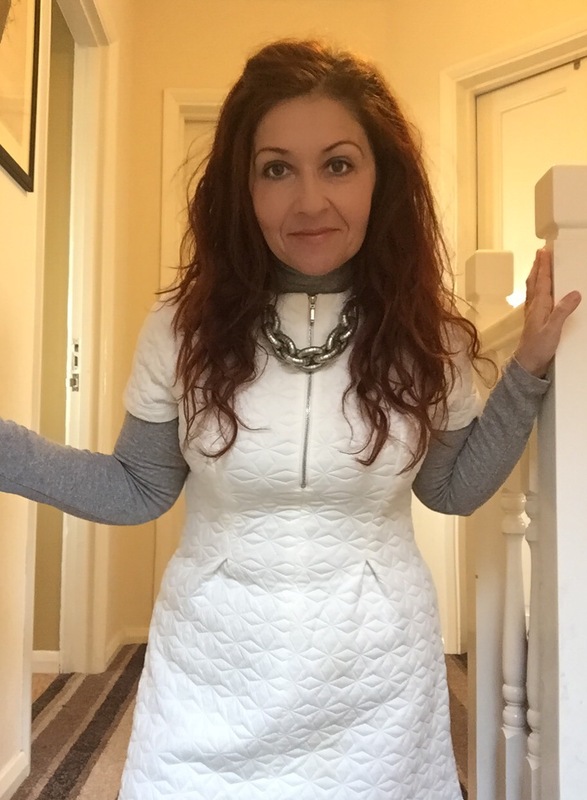 …a white dress always looks cool and stylish! Dressing one for winter with a roll neck underneath and boots gives it a futuristic vibe which I’ve fully exploited in todays styling post. 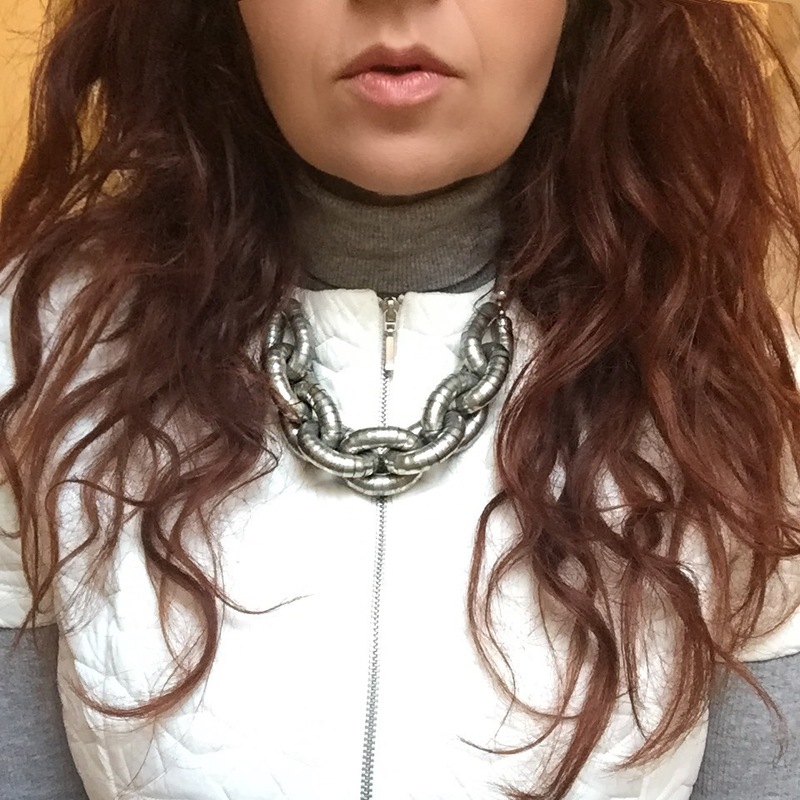 White is definitely is the colour to stand out in during the winter months and is great for looking a bit different. 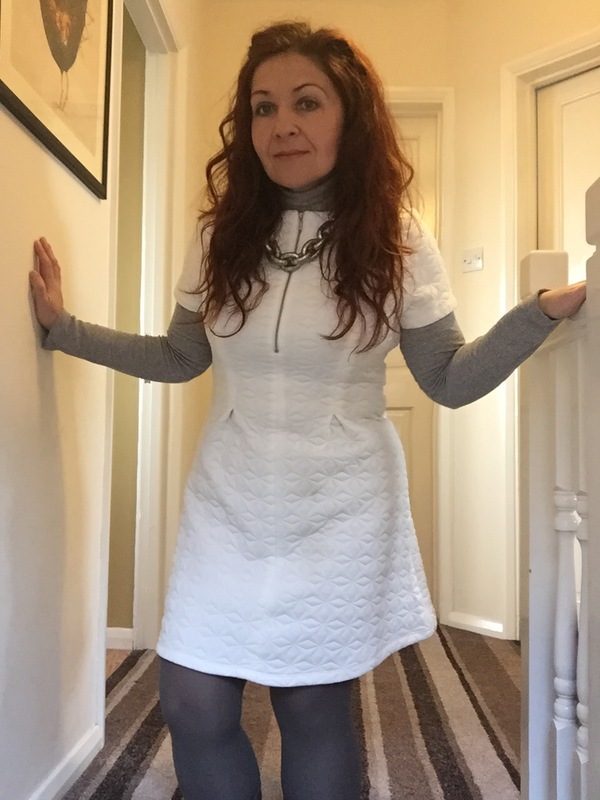 The dress I’m wearing today is a Primark dress (last season but theres always tons of Primark on eBay) made from a thick quilted material with a half zip to the front. 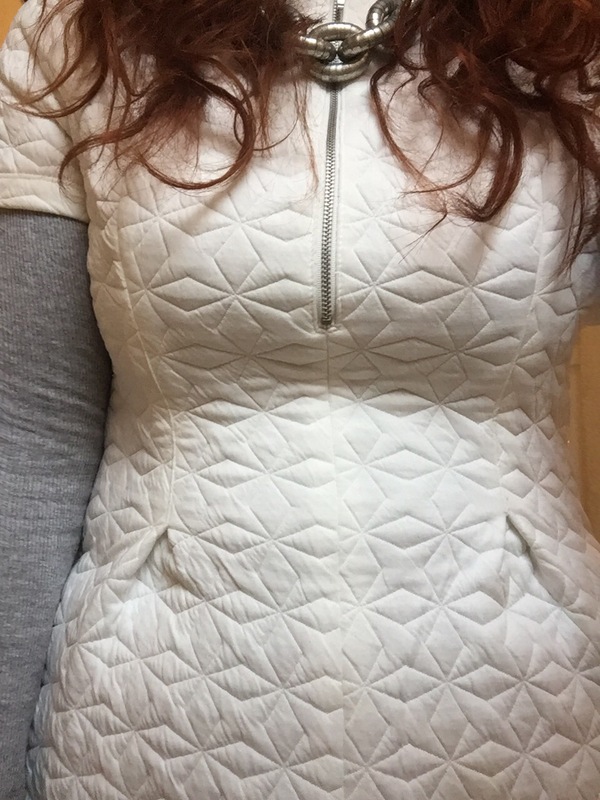 Although the quilting makes it a little bulky it also makes it very structured so it flares out beauifully at the waist (great if youre little and curvy like me). For size I am wearing the UK10 as it has some stretch to it. 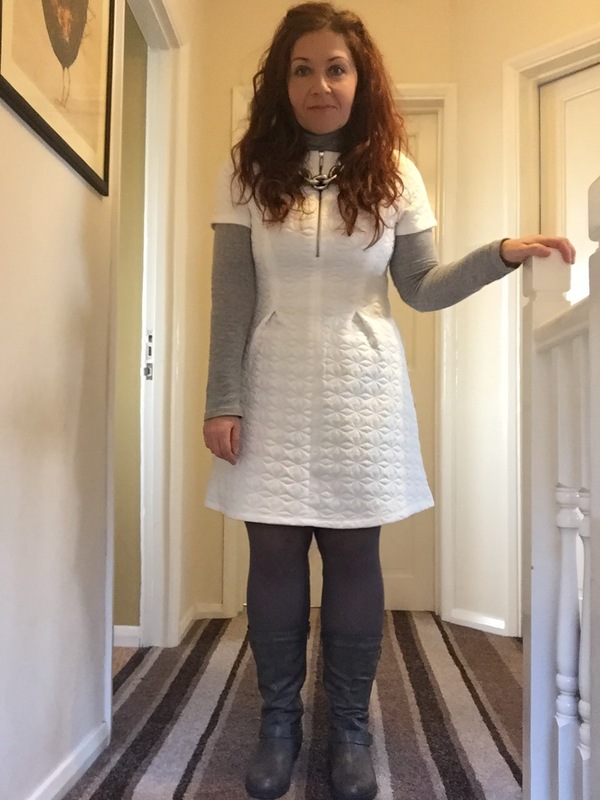 Underneath I added a cotton roll neck, chain effect link necklace plus grey tights and boots. My futuristic look was complete! 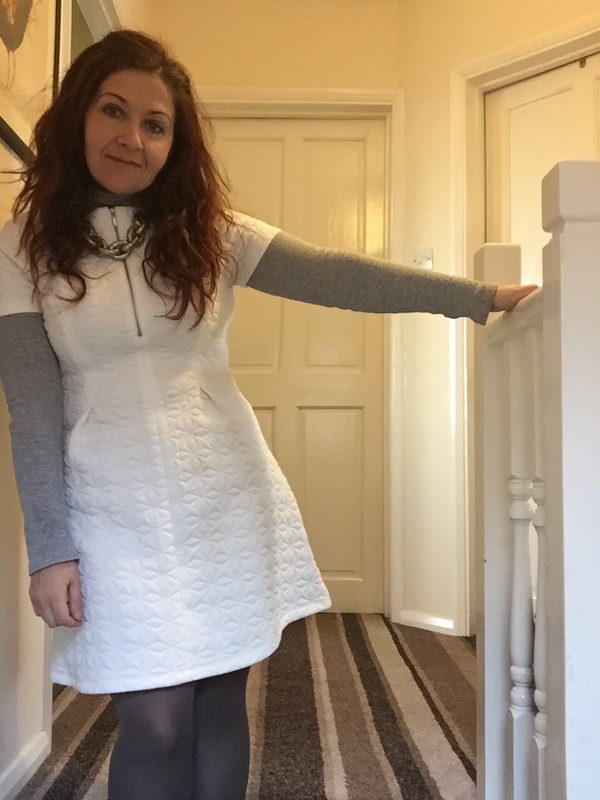 So do you think you’d give a white dress a go this winter? Yep, its the beginning of the week again, the weekend has flown by and here we are at Monday morning! Here is todays quote or thought that has inspired me and I hope it inspires you too. Have a great week! 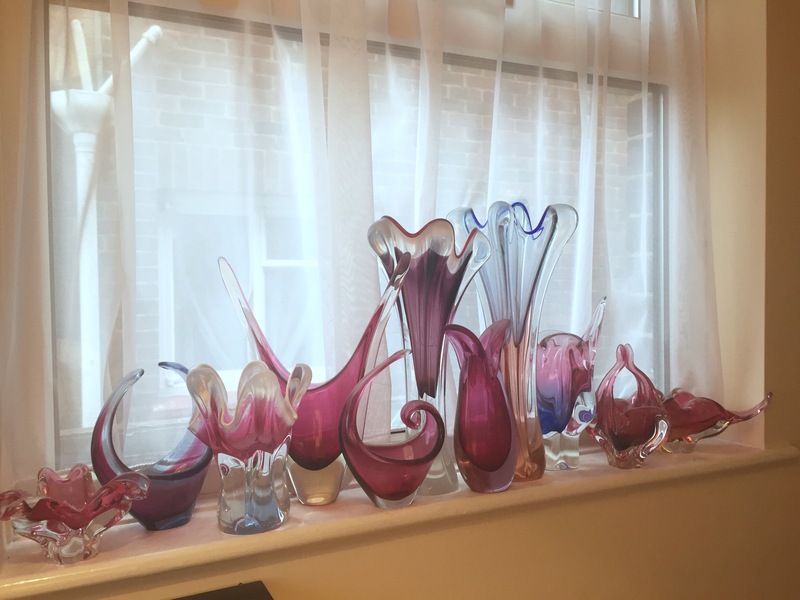 Find inspiration – use that amazing brain we have for positivity…read great books, watch fantastic films and TV, embrace art or start writing (blogging is a great way to achieve that). Exercise – when I run my mind works freely, exorcising all those negative thoughts we carry. You get to see nature close-up as being on foot makes you see the world at a different level. Listen to music. 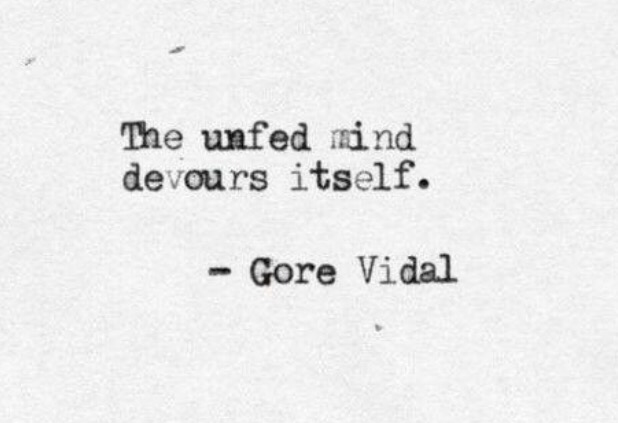 And when you return, your mind will feel free of all the clutter that was there before. Detox your life – remove toxic people and don’t allow yourself to be in negative situations. Learn to say no – we all have responsibilities of course but you don’t have do things you dont want to do. What words have inspired you recently? I would love to know. 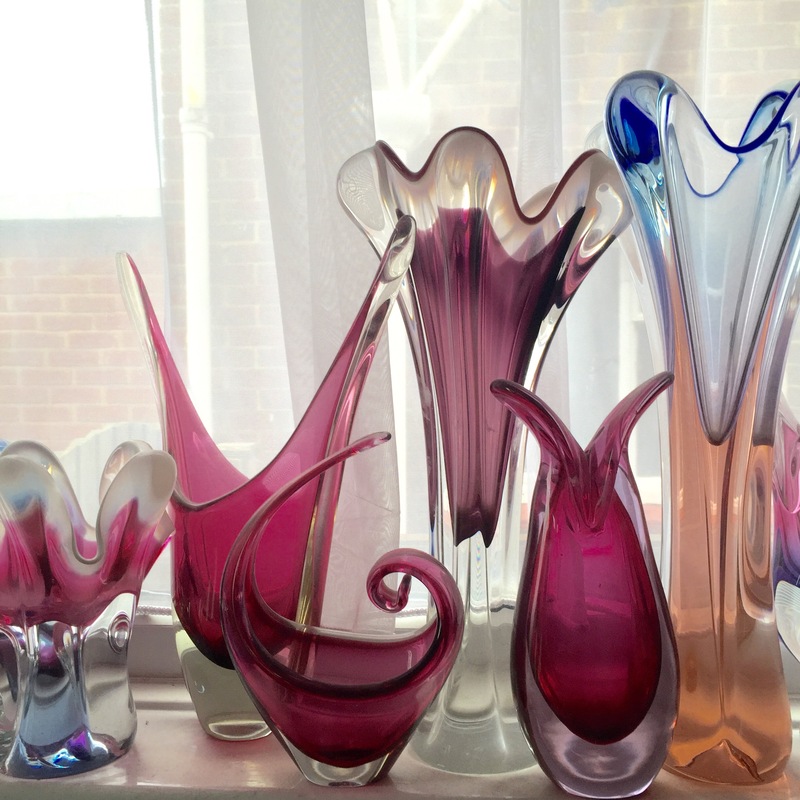 Being extremely fussy about fashion probably like many of you, I choose the gifts I want and put them on a wishlist for people to buy from if they want to. I was lucky enough of receive quite a few of these this Christmas and todays outfit features two New Look items I received as gifts. 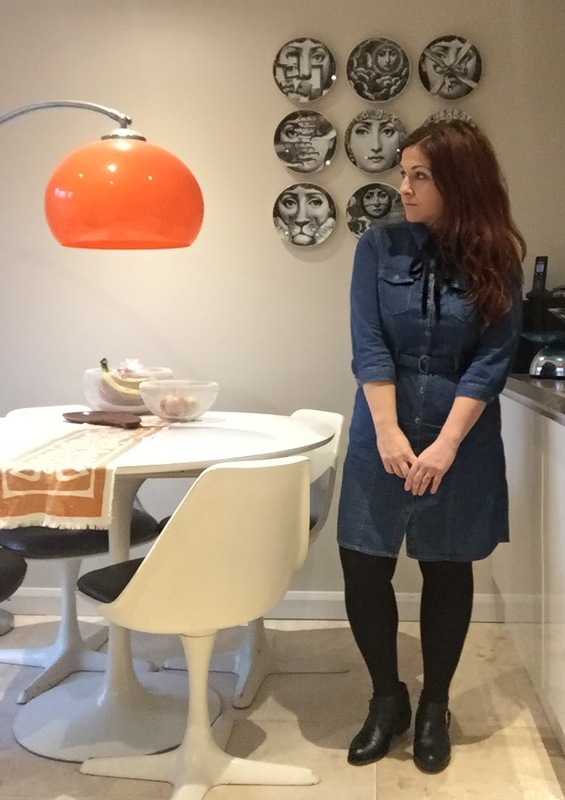 Denim dress – £24.99, ankle boots – £24.99, both New Look. 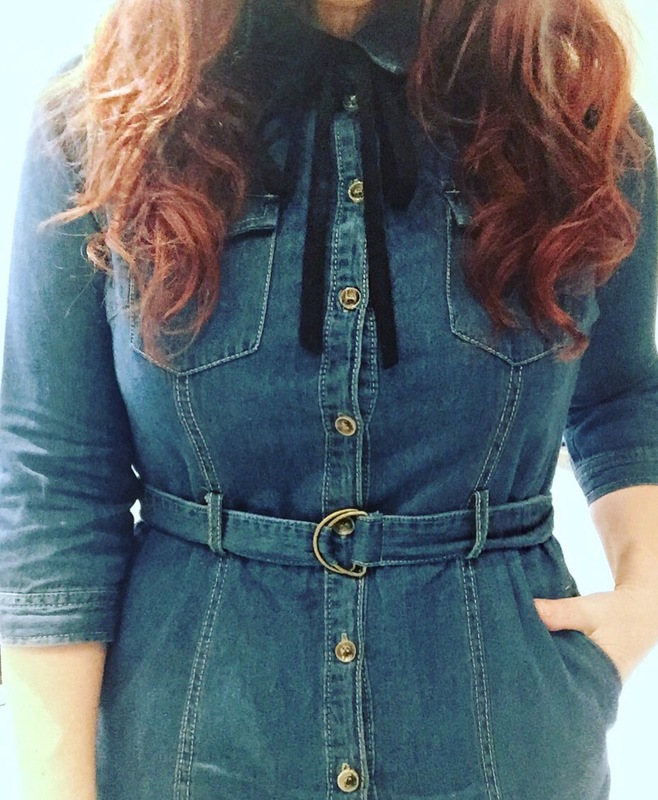 Denim is everywhere at the moment. 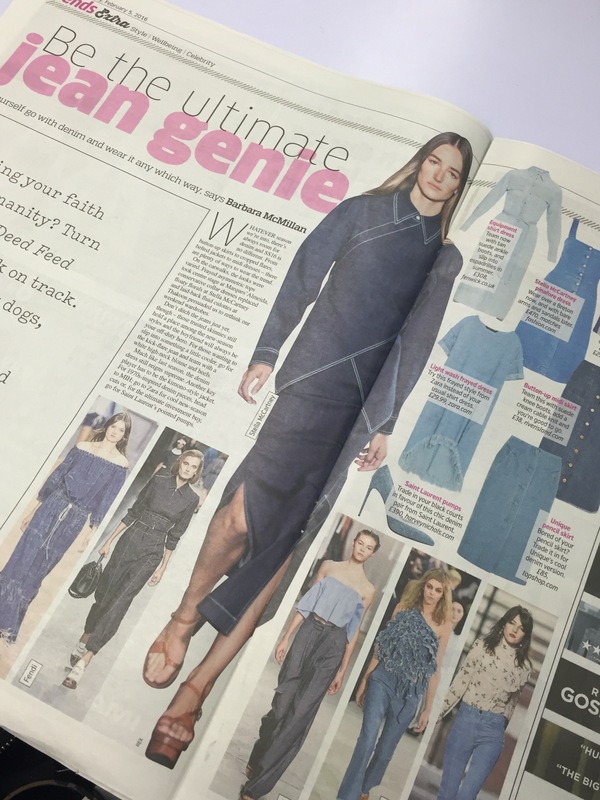 I was reading the Metro on Friday and it had this spread…so at least I know I’m on trend! 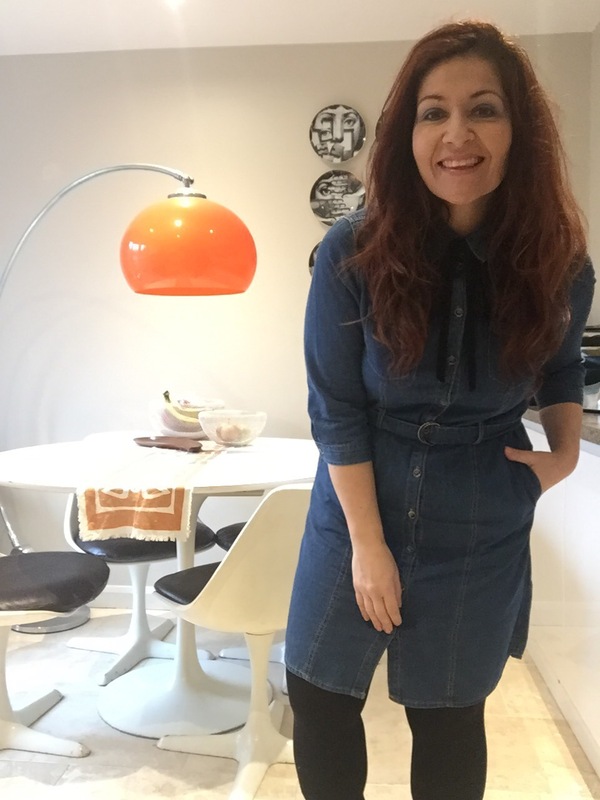 The New Look dress is a really versatile piece – it has a button through front and D ring matching belt. The 100% cotton denim material is soft to the touch and has a slight stretch to it. It costs £24.99 and is available in store and online here. 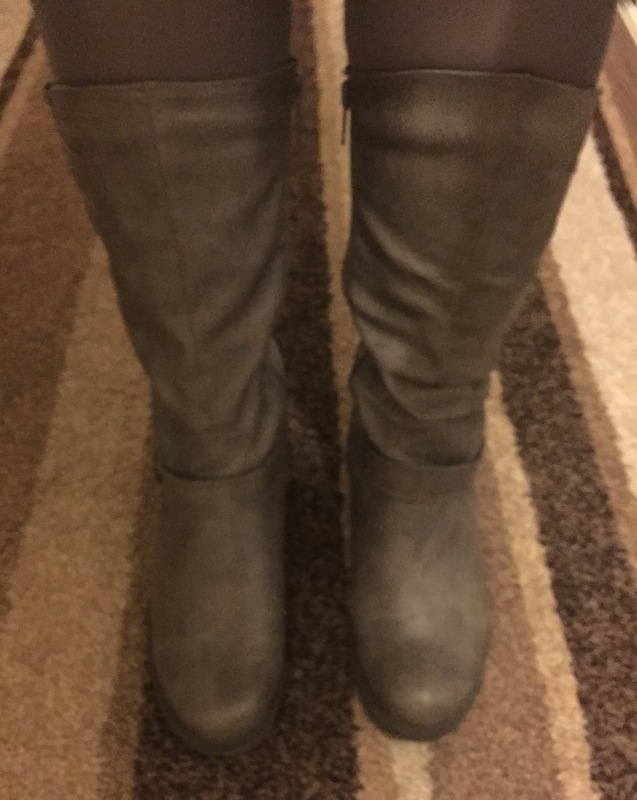 It is described as ‘slim fit’ and due to this I’d say the sizing comes up average/ slightly small – for comparison I am wearing the UK size 12 here. 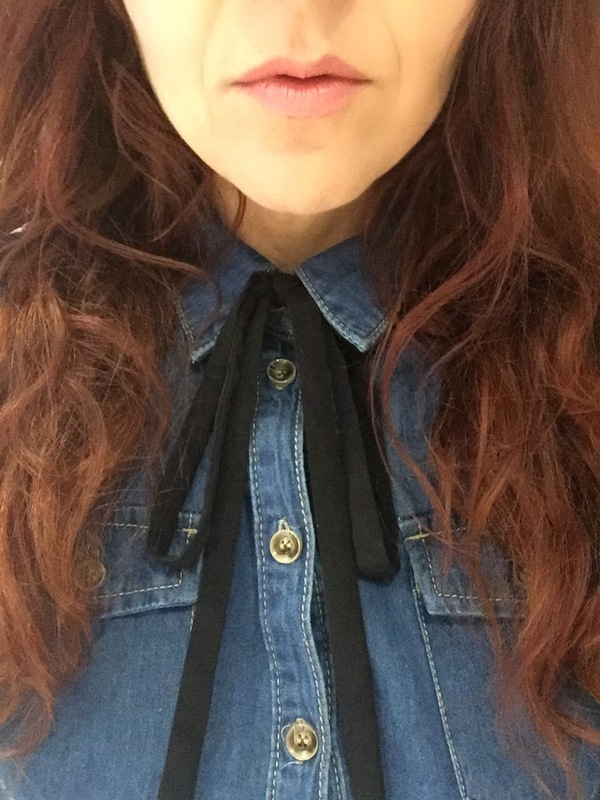 To add some interest, instead of a necklace (which would of looked too fussy with its shirt style collar) I added a simple black neck tie tied in to a bow. 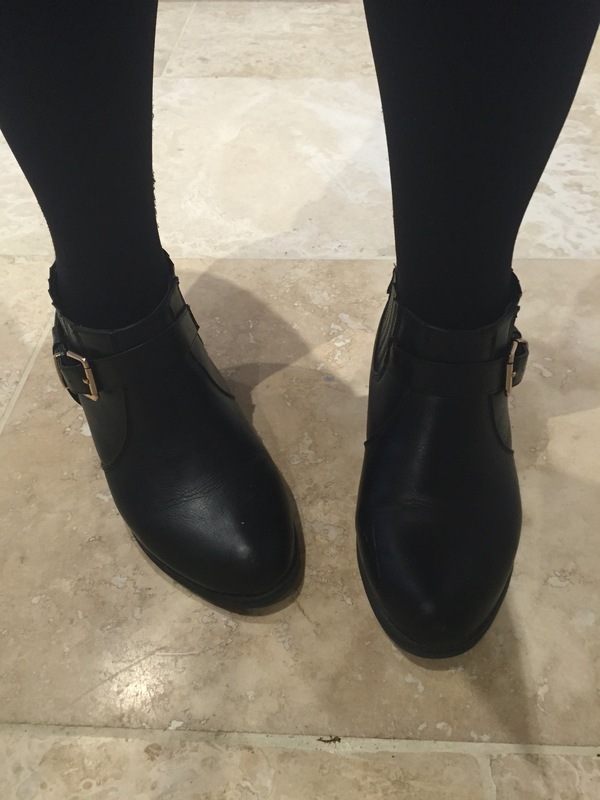 On my feet were my the ankle boots which are comfortable (they are from the wide fit range) but have a medium height heel and a soft pointed toe for a more formal look. 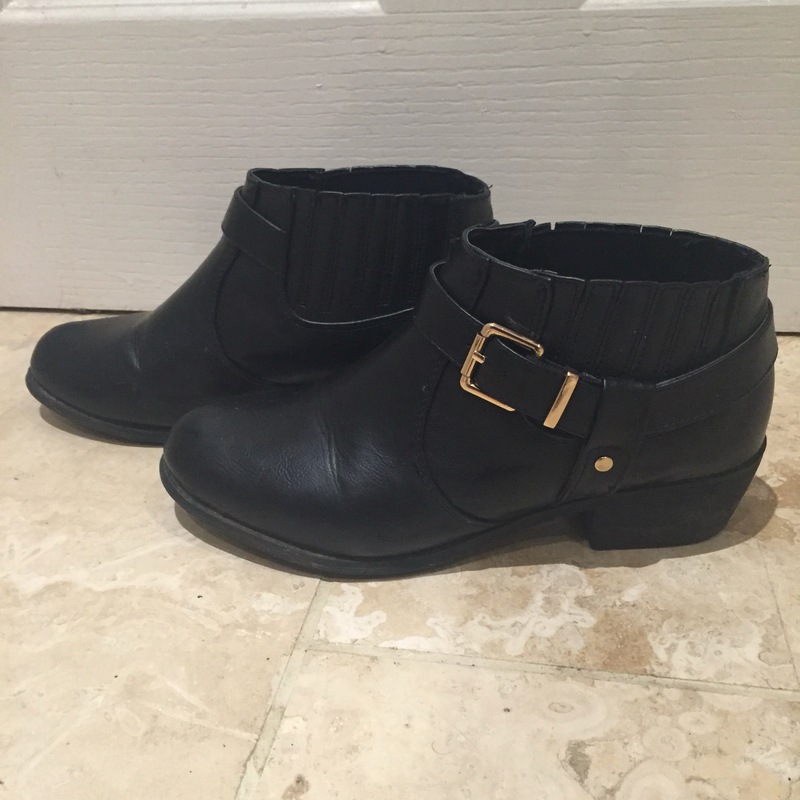 They are now sold out but find similar here. 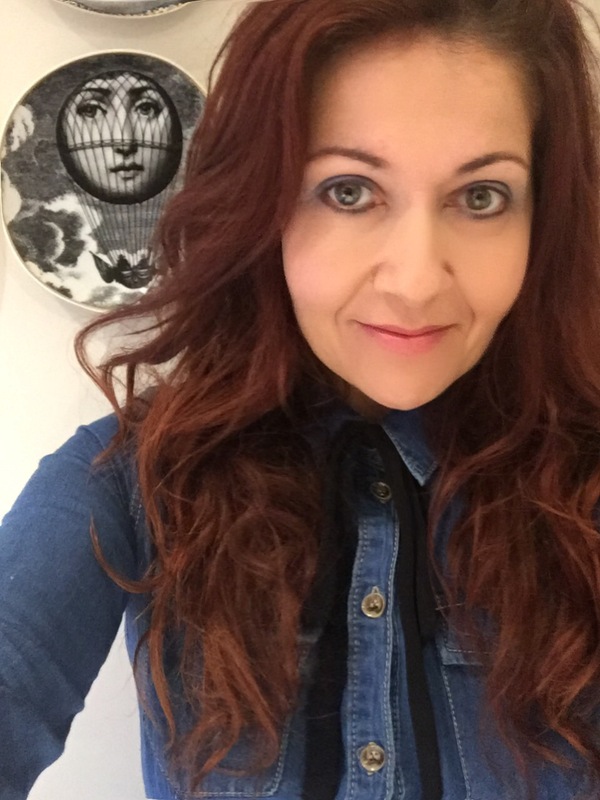 As this was a ‘in the office’ day my hair was blow dried wavy and my make-up was a simple base with a dark blue eye palette and neutral lipstick. 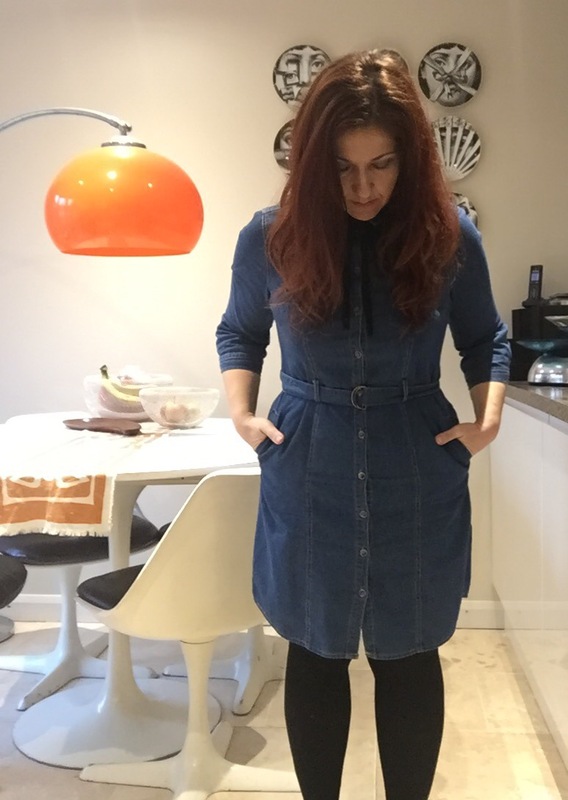 This dress is the perfect day dress to dress up for the office or down for the weekend…especially if you love denim but can’t wear jeans for work! As I have mentioned previously, we are currently revamping our house which will see us pretty much redo every room in our house bar the kitchen. 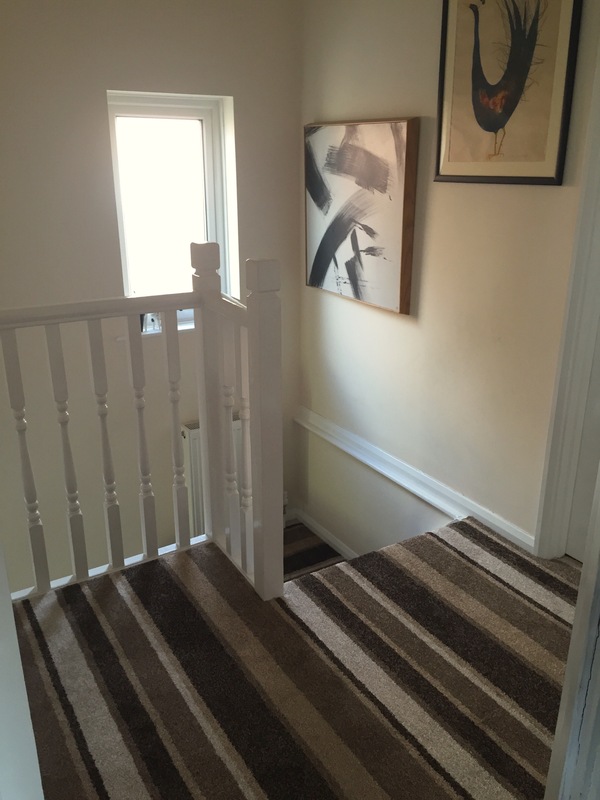 One of the first areas I have looked at is the hall, landing and stairs. 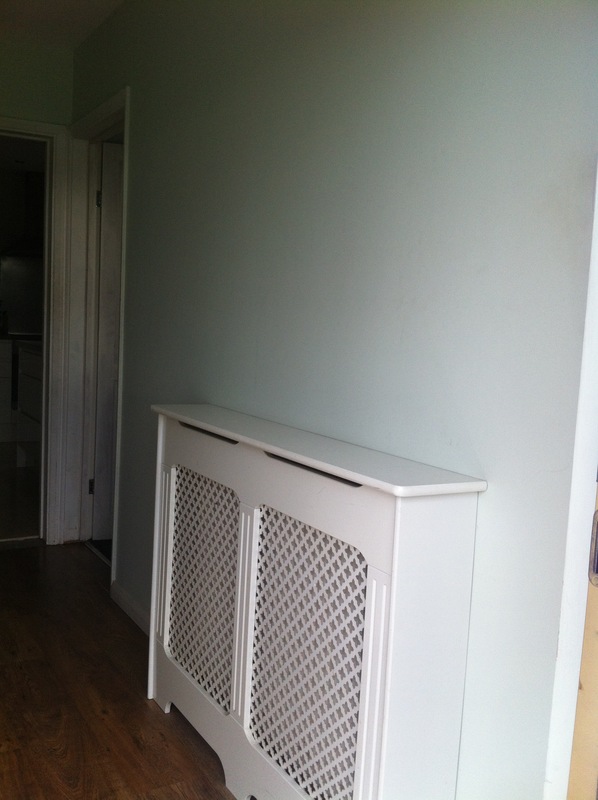 When we moved in it was a pale green with no carpet and felt cold, was noisy and very dusty. 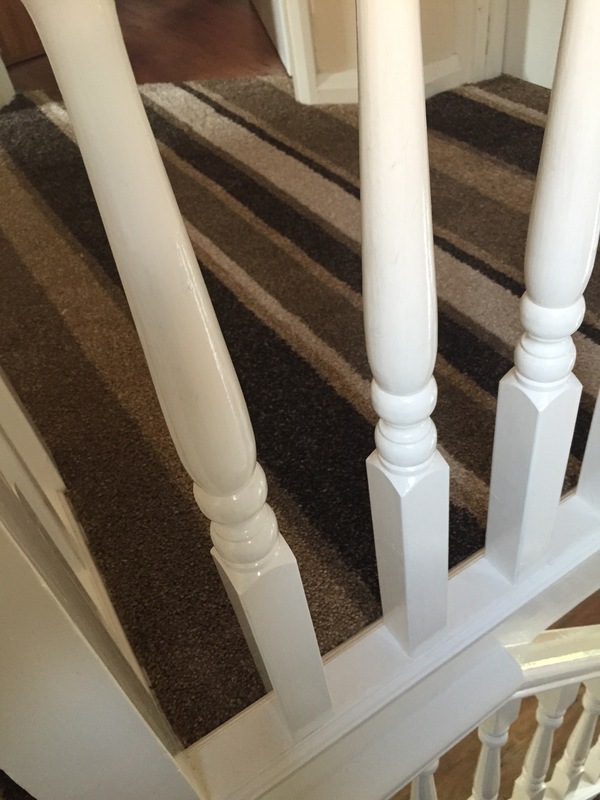 All the doors were untreated wood and there were areas of architrave missing. 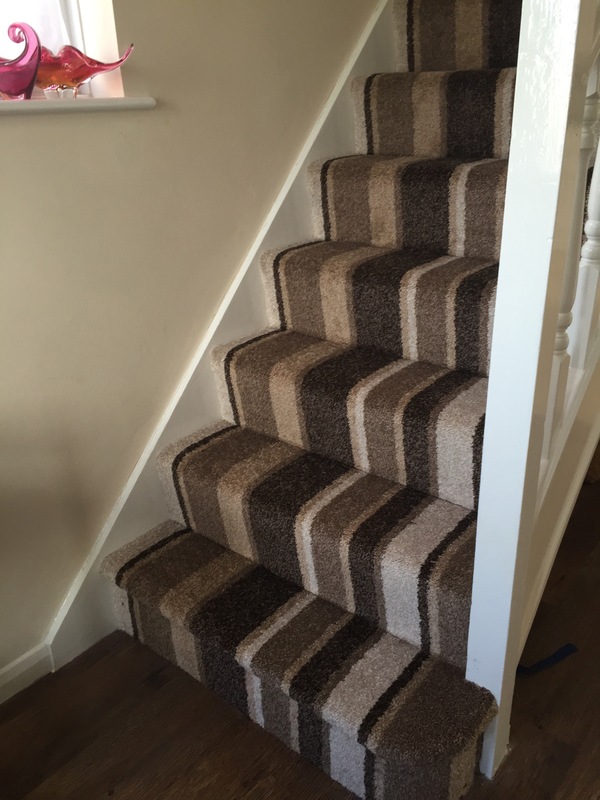 I had wanted a striped stair carpet for some time but had only lived in homes where the carpets didnt need replacing so it was not to be. But now? Well, I had the perfect opportunity! 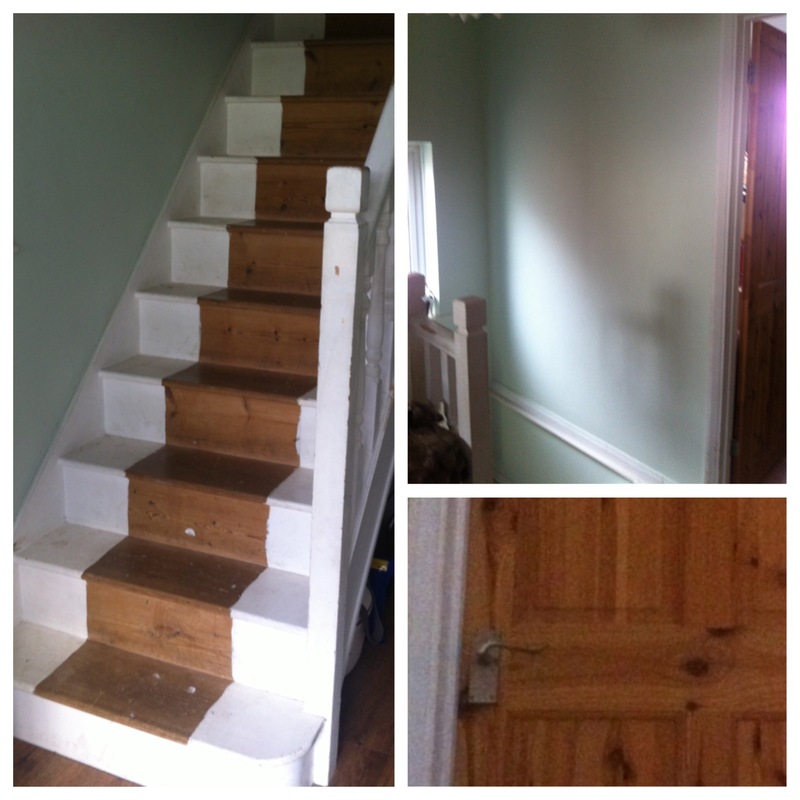 Over a couple of weeks I painted out the cold tone pale green walls into a warmer tone (a basic matt magnolia), re-glossed all the woodwork and primed and glossed all the doors. 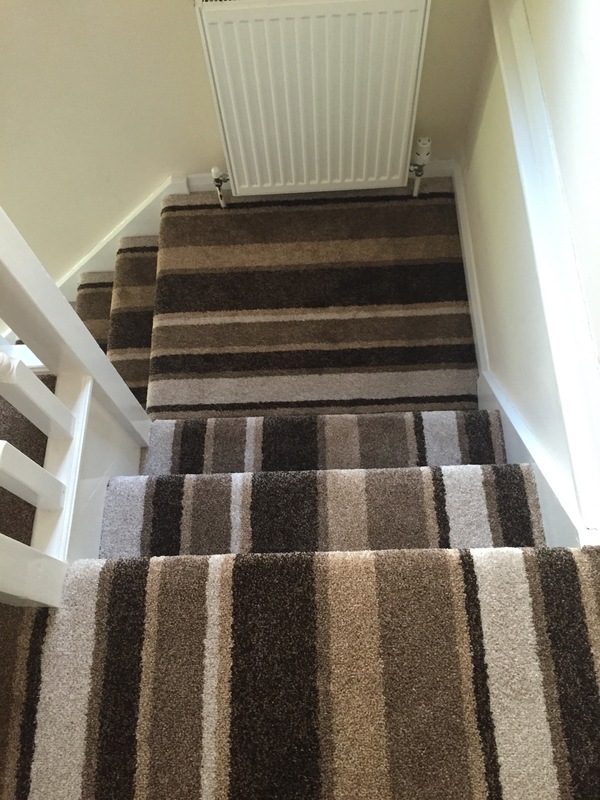 After quite a search, we found the carpet via SCS as I wanted a quirky, slightly uneven stripe rather than something too repetitive and formal. 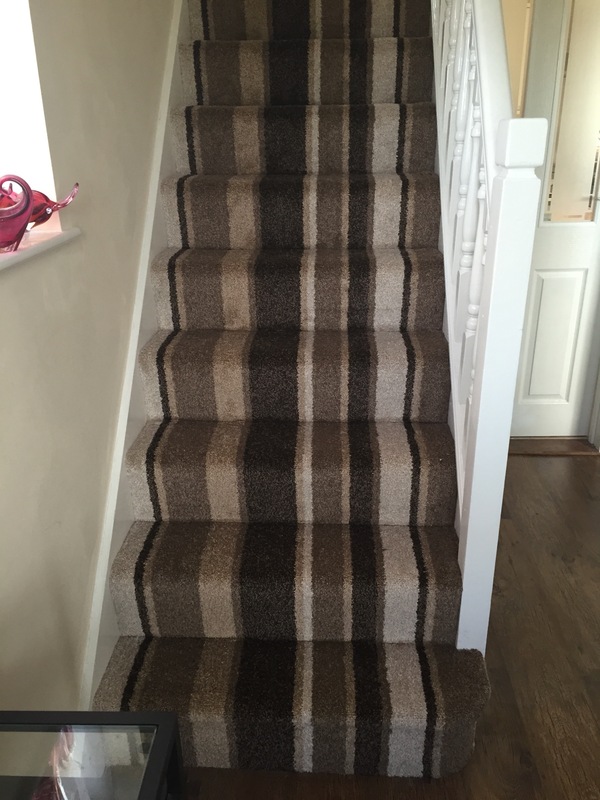 The brown tonal colours make the stripes stand out but not be too overpowering in this high footfall area. 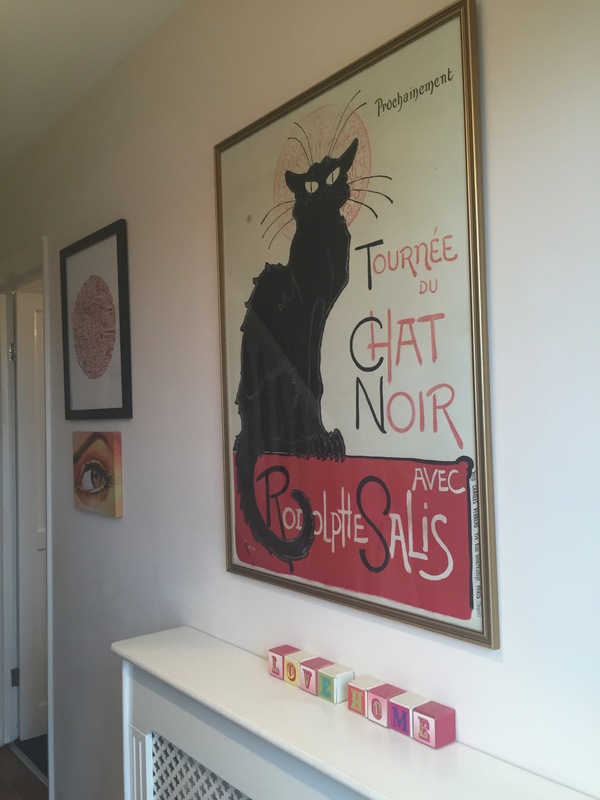 And a huge vintage ‘Le Chat Noir’ print is one of the first things you see as you walk in… Upstairs, two large artworks dominate the top of the stairs, one being one of my favourite items I own – an original 1970 Geoffrey Leeson artwork of a Peacock. 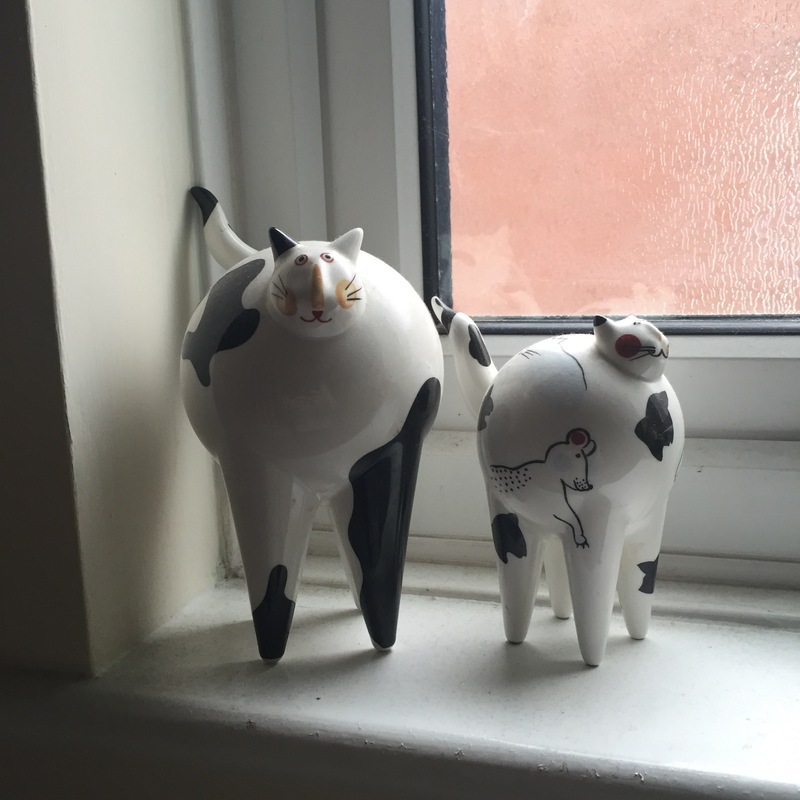 Two of my favourite ornaments, a pair of collectable Villeroy & Boch ‘Animal Park’ cats are placed on the smaller upstairs window sill as well. I’m really happy with how its turned out! 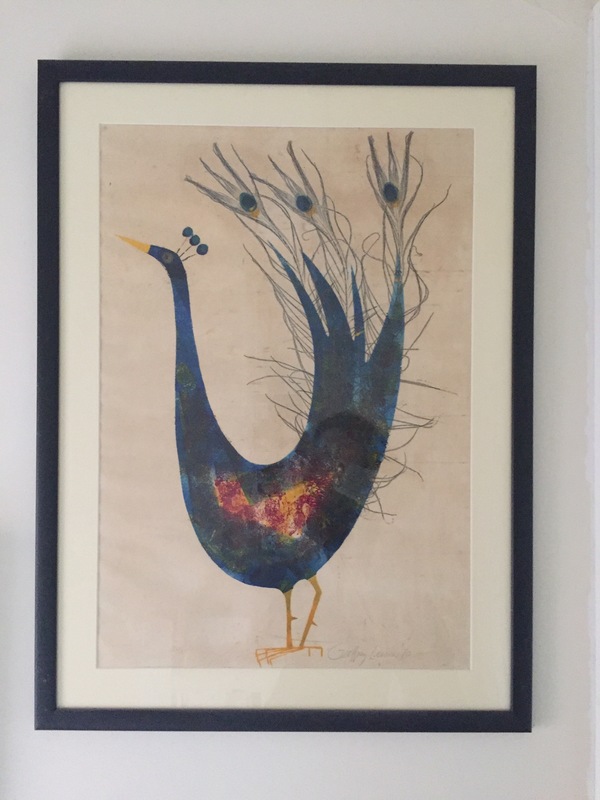 The first project of our new home is complete and I’m now working on the master bedroom…look out for my blog on it soon. What home improvement have you been up to recently?